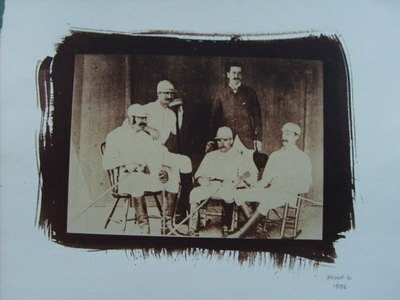 A proof photograph of the winning team on handmade paper. Image size approx 20cm x 15cm. In ivory coloured mount. The technique is a screenprint-like finish from photographic images.